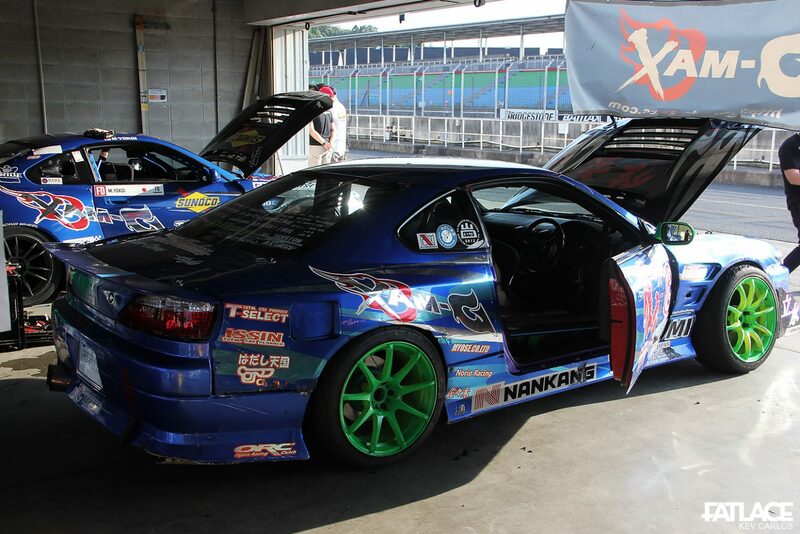 The Formula Drift World Championship was simultaneously held with Offset Kings Japan last August 20 – 21 at the Okayama International Circuit. 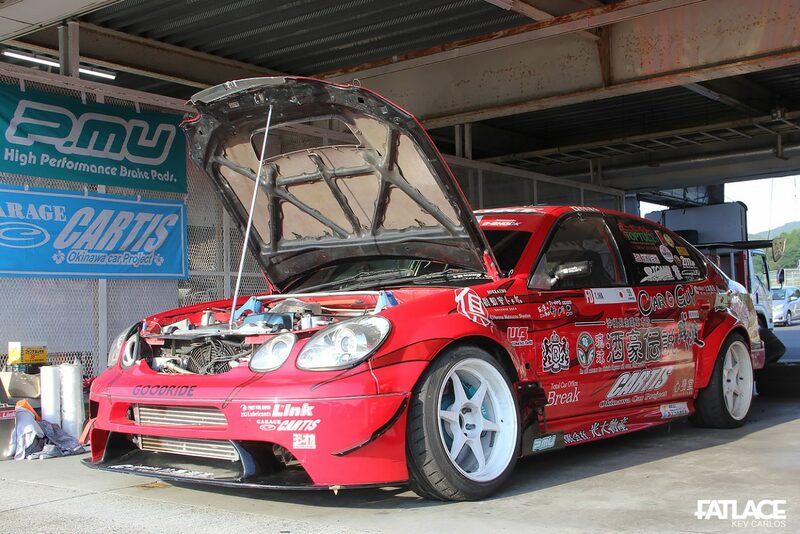 Organized by Japan Motor Games, the 2-day event gathered 36 drifters for FDJP’s 3rd race for 2016. Here are some of the cars at the race paddock. We cruised down the paddock late in the afternoon straight from our 3-hour drive from Osaka. 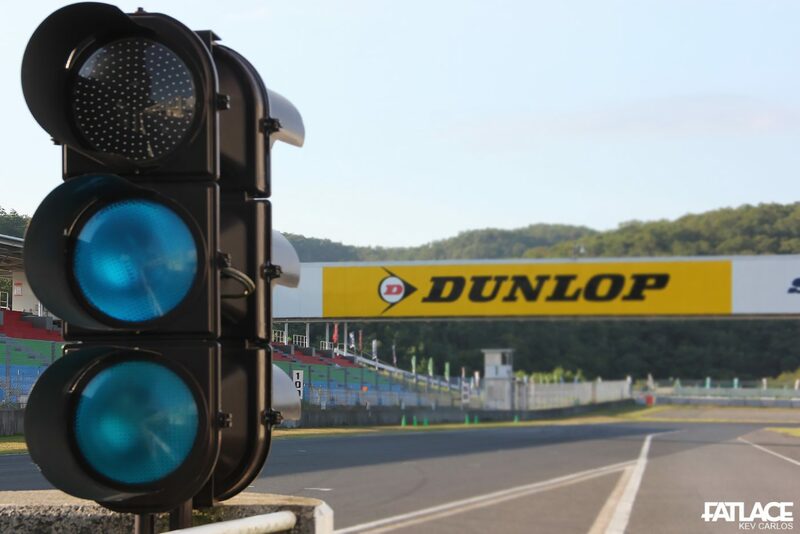 Okayama International Circuit or TI Circuit (Tanaka International) was originally a private race track during the early 90’s. In 1994, the TI Circuit established its name worldwide by hosting a Formula One race. The track served another year for the series in 1995, which made Michael Schumacher a back-to-back champion on the circuit. 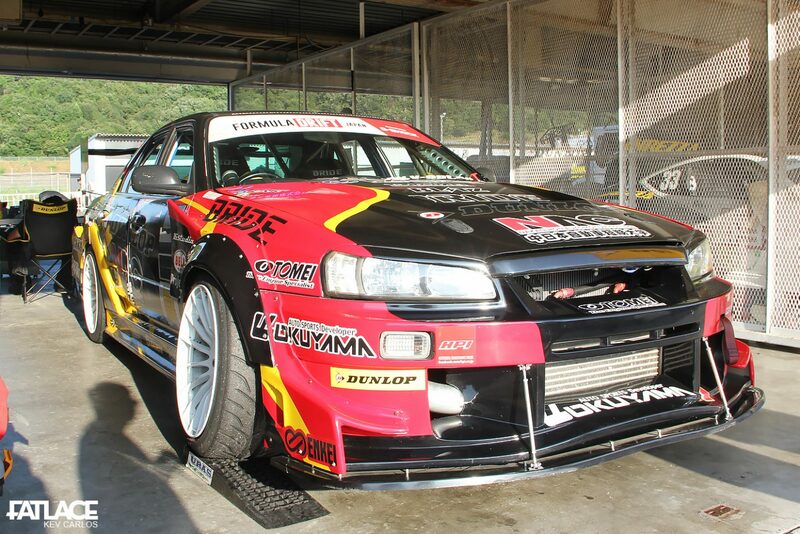 For the past 3 years, OIC has been a part of Formula D Japan’s event. Being my 3rd time in covering the event proper, the ambiance felt similar to the Fuji International Speedway. 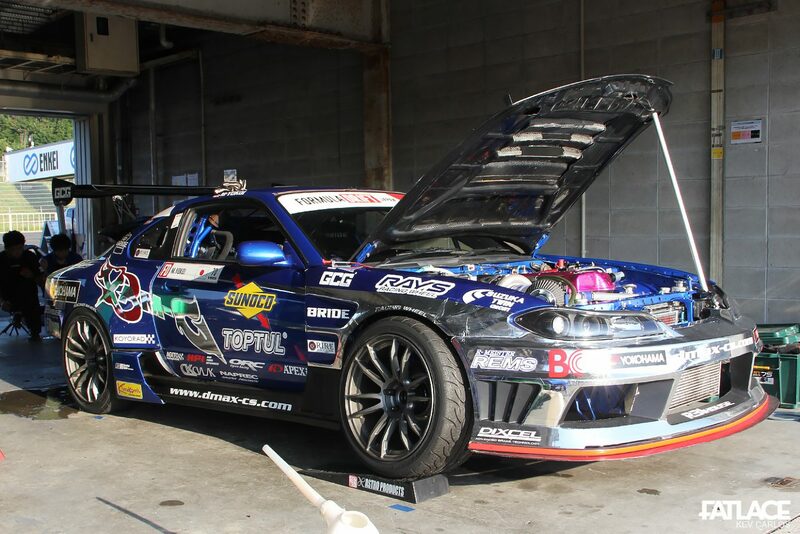 Here is Masashi Yokoi‘s S15 featuring a 2JZ built by REMS. 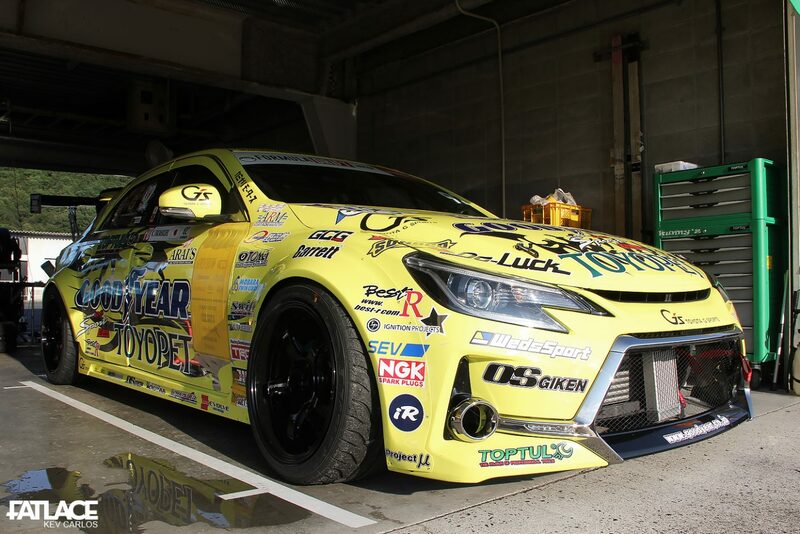 One thing I noticed about FDJP’s wheel alignment is how the front is massively cambered (-) compared to the rear. Yokoi-San’s engine bay. Anyone knows how much power this puts up? Kuniaki Takahashi‘s Mark X was also present at the paddock. This particular drift car has evolved as I have been following their drift cars for the past 8 years. I heard this produces 900hp on its 3.4l 2JZ. Good to see an ER34 drift car. Mad Mike Whiddett‘s choice for the event was his 4-rotor FD3S RX-7 named “Humbul”. Imagine the sound it makes, bummed not to take a video of it! Here is YES! POWER’s JZX100. 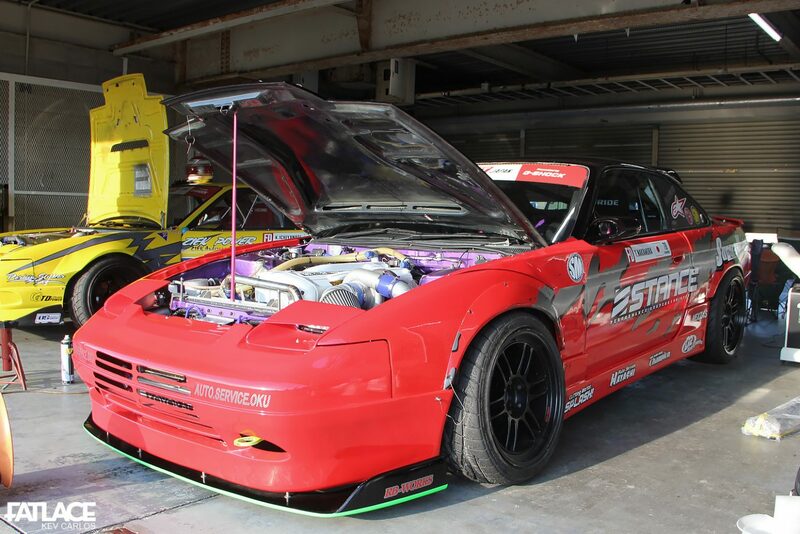 T. Nakamura‘s RPS13, featuring a RB26. 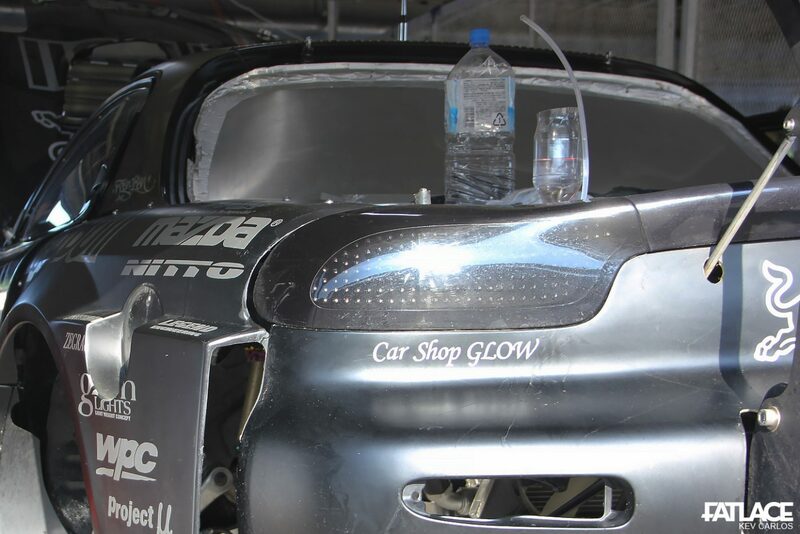 Check out that clean bay on a pro drift car. 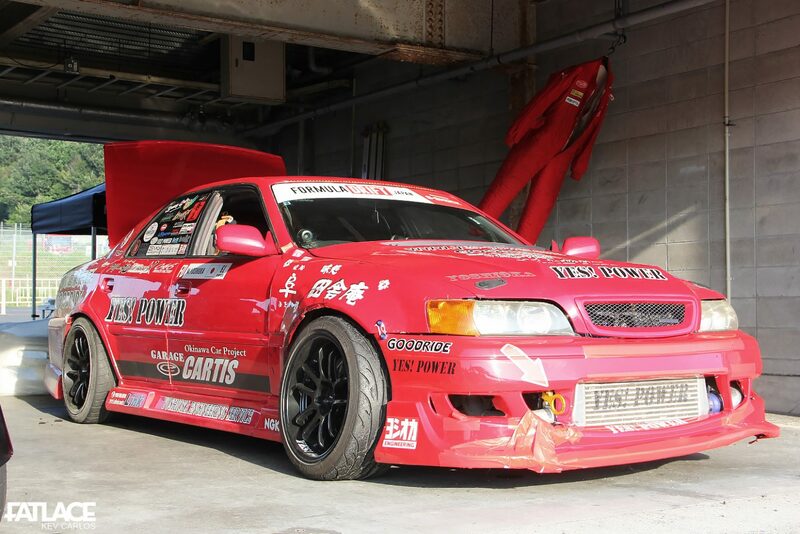 Tetsuya Iha‘s Aristo, which was previously driven by Manabu “Max” Orido. 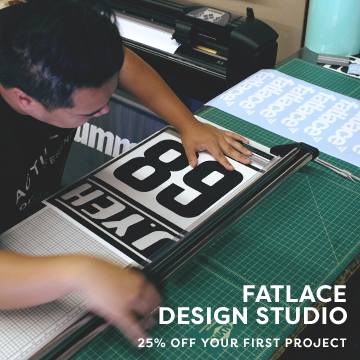 The Fatlace X Weld drift car which debuted at the 2015 Tokyo Auto Salon sports a different livery for the event. Saving the best for last. Here’s one of my favorite cars during the whole trip to Japan. 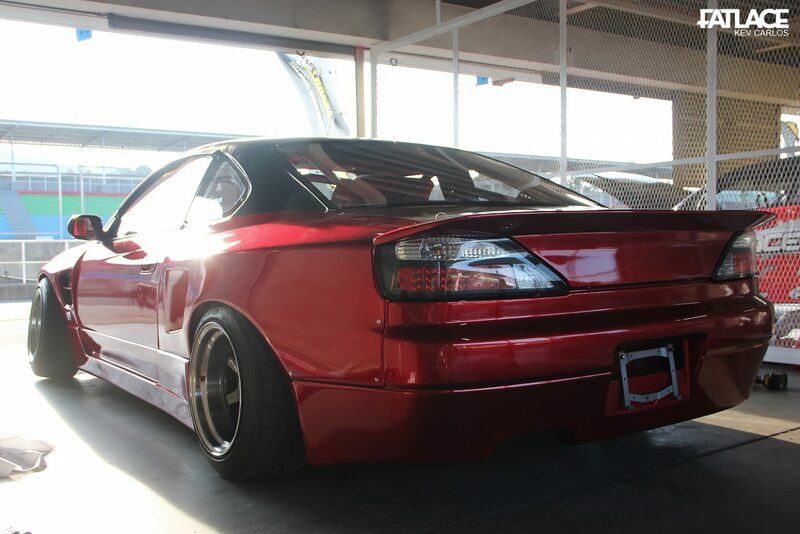 A street-drift-spec Super Made s15. This build embodies pure Japanese street drifting, from the two-tone candy paint to the radical kit. What’s good about the kit is the front overhangs, which allows more room to lower the vehicle using 16s or even 15s. 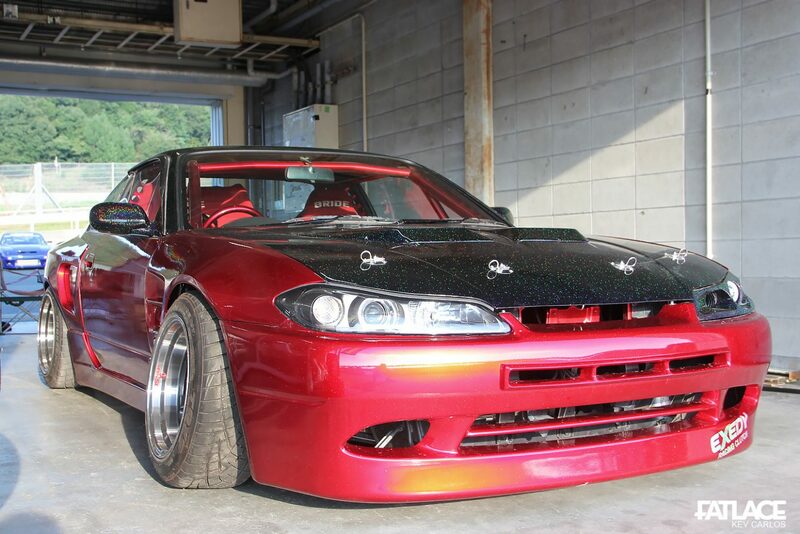 Imagine how the S15 looks, with its low profile, slammed like this. 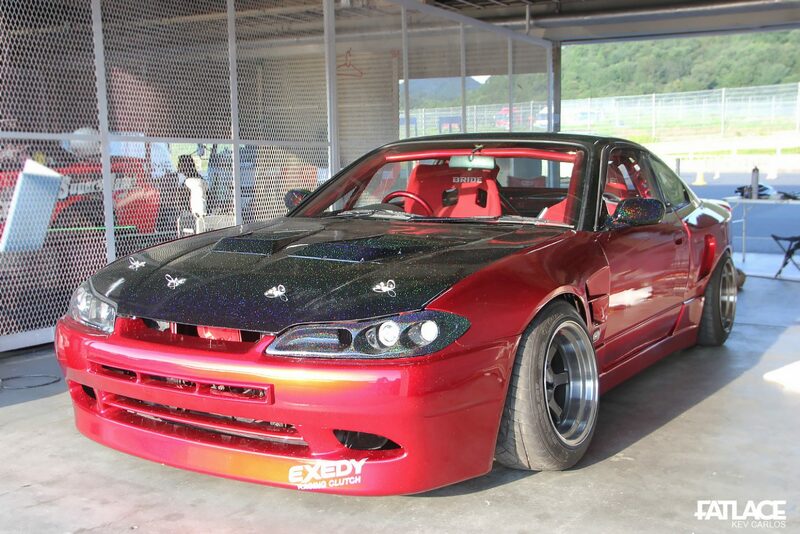 Up to now I’m wondering if this was the exact 2011 Tokyo Auto Salon Car, but this exact car had 5-lugs for the Volk Racing TE37V (TAS demo car had a 4 lug conversion). 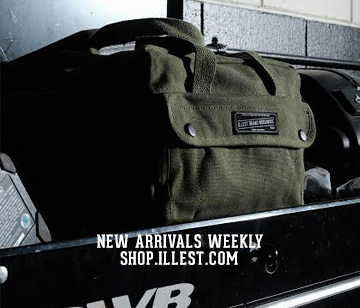 Style is mandatory as it is fitted with the Instant Gentleman kit. 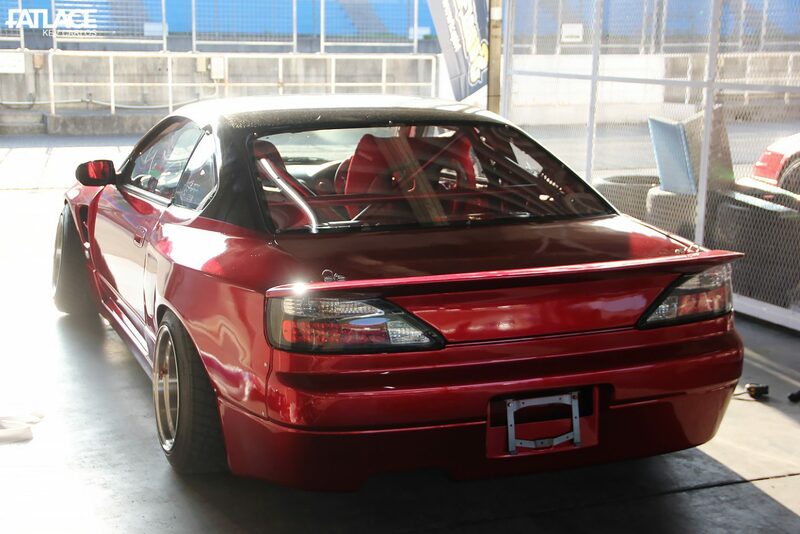 2 years ago, I was in the talks with Nakamura-San in importing a kit, sadly I had to let go of the S15 project, so seeing this gave me mixed emotions. Given a chance to own another Silvia, it will surely have this kit on. Hope you enjoyed this post. Be right back soon.